There has never been a more important time for every user on the River Wandle to Check, Clean, Dry – we have discovered New Zealand pigmyweed on the Wandle! New Zealand pigmyweed, Crassula helmsii, is a highly invasive aquatic plant introduced to the UK in the 1900s as an ornamental “oxygenating plant” for ponds. It is thought to have escaped to the wild naturally (transported by wildfowl moving between ponds) or as ponds/aquaria were emptied out into nearby rivers. Where would we find it? New Zeland pigmyweed grows in still water, such as ponds or lakes, and also in slow moving waters like canals. It can even form dense colonies on damp mud and could therefore colonise marginal and impounded areas of the Wandle, and many of the backwater habitats. Where is it in on the Wandle? 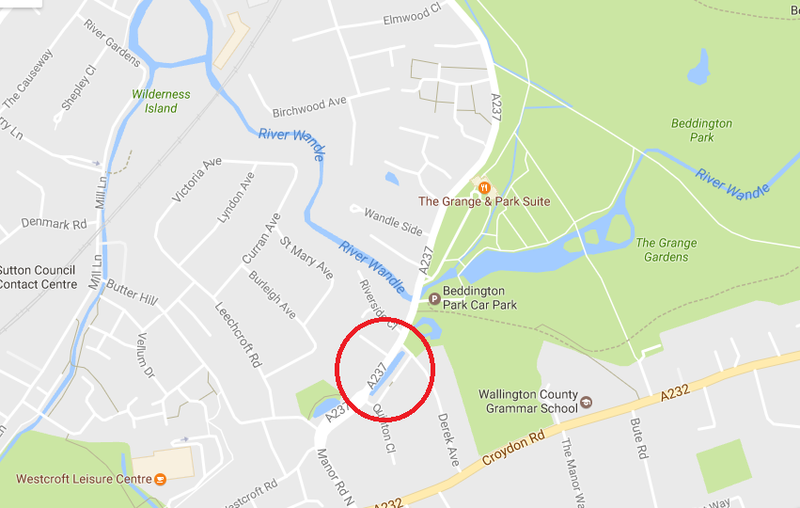 Currently, the only known New Zealand pigmyweed colony is in a small pond in Hackbridge / Beddington where it was discovered during our recent Wandle cleanup, highlighted on the map below. New Zealand pigmyweed forms dense mats on the surface of the water, and up to 3 m under the water. 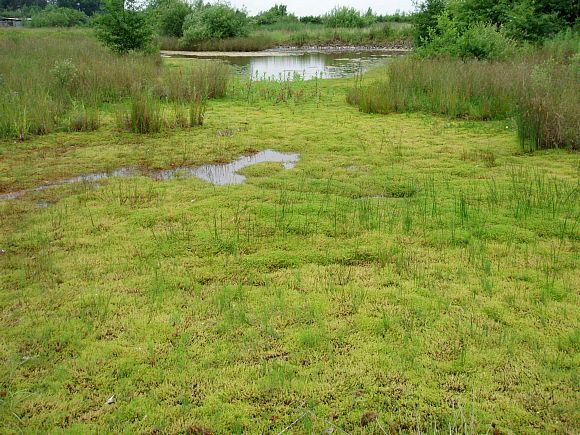 These mats can shade out other plants below, resulting in a decline in oxygen in the water which has negative effects on invertebrates, frogs, newts and fish. Much like floating pennywort, New Zealand pigmyweed can hinder recreational activities such as angling, by creating impenetrable “carpets” across open water bodies. Finally, the control and eradication of this plant is very difficult. We are unlucky to have it, but lucky that we have discovered it with only one colony! In many other catchments where it has become established, water seems to have disappeared from the landscape. What can I do to help stop the spread? Avoid the pond! The pond where we have discovered the plant is not currently used for recreational purposes and ideally this would remain the case. For example, if you walk dogs in the area, please make sure they don’t go for a dip in this pond, as they could easily then transport it to wherever they next go for a swim. The plant can grow from tiny fragments that you might not even spot, so it is better to be safe than sorry! Check, Clean, Dry! 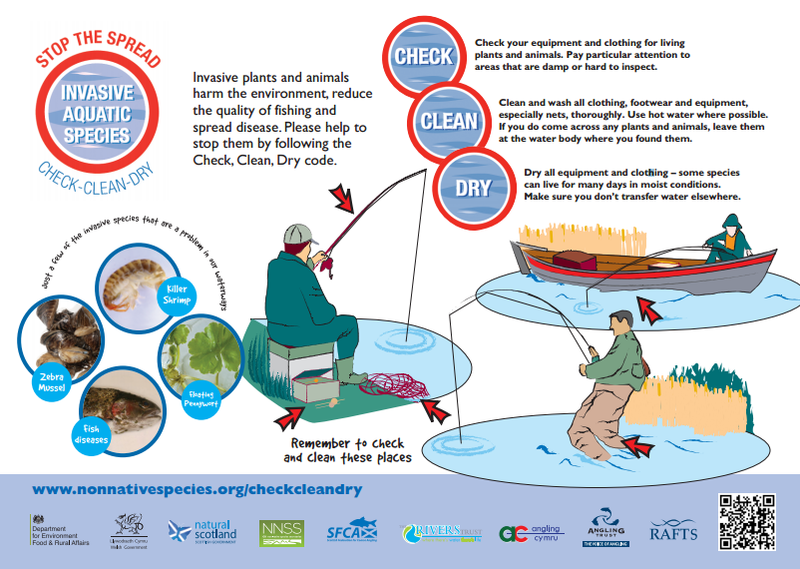 Finally if you are an angler on the river, or a use the river in another way such as canoeing, please make sure you are following biosecurity procedures such as Check, Clean, Dry. This will not only help reduce the risk of spread of New Zealand pigmyweed, but also the spread of other INNS and potential new INNS to the Wandle from other rivers. This entry was posted in Uncategorized and tagged Beddington, Biosecurity, Hackbridge, INNS, INNS Alert, invasive species, New Zealand Pigmyweed, Spreading the Wandle Word, Sutton, Wandle on June 1, 2017 by Polly.